Save The Date: October 9th Will Be The Most Powerful Leadership Event of 2015! Join me and local business leaders at a live simulcast viewing and networking event at Valley Church in West Des Moines, from 7-11:30 AM the day of the event. Learn from global experts in leadership while surrounded by community members who aspire to be great throughout Des Moines and central Iowa. Mark you calendars for 2015’s top leadership event! L2L:LIVE2LEAD takes place this upcoming October 9th from Atlanta, GA.
John C. Maxwell, the #1 New York Times bestselling author, coach, and speaker who has sold more than 25 million books, was identified as the #1 leader in business by the American Management Association® and the world’s most influential leadership expert by Business Insider and Inc. magazine in 2014. In that year Dr. Maxwell also received the Mother Teresa Prize for Global Peace and Leadership from the Luminary Leadership Network. His organizations—The John Maxwell Company, The John Maxwell Team, and EQUIP—have trained more than 5 million leaders in 188 countries. For more information visit JohnMaxwell.com. The simulcast provides a unique experience for leaders in Des Moines to come together and experience the expertise of great leadership inspiration as a community. You’ll enjoy the company of other leaders, finding that inspiration comes from being around the best. There will be an optional lunch after the simulcast for further mingling about your takeaways and how to apply them to your everyday life. Past attendees found the event very rewarding! Check out a video from last year’s West Des Moines simulcast here. Registration is open at www.L2LDesMoines.eventbrite.com. Bring your team and be prepared to grow in your leadership. For more information call 515-222-9193 or visit www.montewyatt.com. As one of the top coaches in ActionCOACH Business Coaching, Monte Wyatt brings over twenty years of remarkable leadership and personal development experience to executives and business owners. In addition to coaching executives & business owners one-one-one, he conducts public & private workshops & seminars. He is a inspirational key note speaker, a results oriented business coach and a trainer and coach for other business coaches around the world. 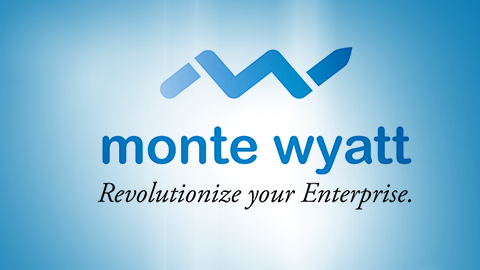 Monte’s goal is to help executives and business owners reach their full potential with clarity. Which Version of QuickBooks is the Best? Does Your Business Have a Pre-Nup? It Should.